Joe is an industry veteran with over 15 years of experience in the solar industry. Prior to co-founding Energicity, Joe Philip served as a Director of Global Design and Engineering. He worked to develop and analyze new technologies including energy storage and hybrid systems for remote applications. As an early employee of SunEdison, he founded the Development Engineering group responsible for supporting project development at SunEdison. Mr. Philip led the technical due diligence and award of everything from small commercial projects for Walgreens to 50 MWs of utility scale projects in New Mexico for SPS and 10 MW for APS in Arizona. 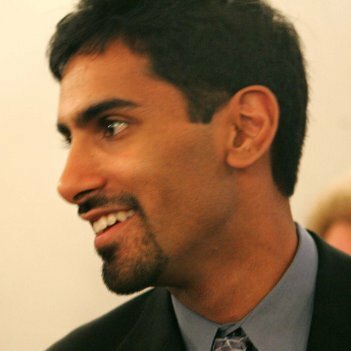 Before coming to SunEdison, Joe Philip worked as a Senior Project Engineer for Spire Solar Systems. While there, he worked on everything from maintenance of existing systems to project engineering, construction management, and sales. Earlier in his career, Joe worked for Global Solar Energy, where he worked in product development. He designed and tested new systems, including portable off-grid systems to support military operations. Joe holds a Masters in Solar Energy Engineering from the European Solar Engineering School at Dalarna University, and a BS in Mechanical Engineering from the University of Pennsylvania.